Shakti Engineering Works brings to you the best Ribbon Blender in the market. After a long period of research, we have come up with a machine that is capable of giving you the best performance every time you need it. The best part is that we do not compromise on the quality but try to maintain as much as less price possible for the convenience of our clients. If you want something more from the machine, we can also design it for you as per your choice. After the product has been designed, we have tested it a number of times to make sure that the parts are durable enough to give you the best performance every single time. The design of the machine has been made in such a manner that takes less space in your workplace. You can avail this amazing machine at an affordable price range online. Available different category with model wise blender. 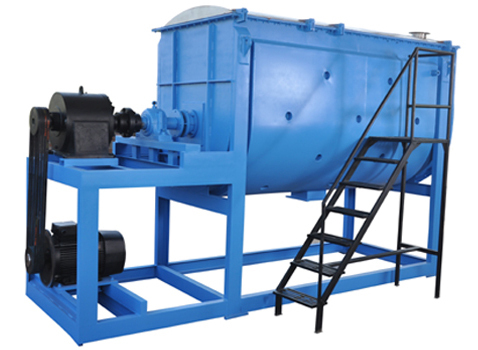 Shakti Engineering Works incorporated in 2006 and today it supplies its products to many industries in India and across India. We have complete facilities to customize products in different size and shapes as per our client’s suitability. To improve our services and quality we timely organize seminars and workshops. This entry was posted in ribbon blender and tagged Ribbon blender, Ribbon Blender Ahmedabad, ribbon blender manufacturer. Bookmark the permalink.